Bringing the Expression back in your Looks! 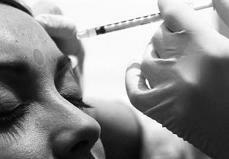 'Facial Aesthetics' involves surgical as well as non-surgical cosmetic treatments for facial Rejuvenation. It offers procedures that make you look younger or rejuvenated to reflect the internal you! Today, facial plastic surgery is not just for the elite, but has an increasing demand in India, and Asia at large! When it comes to choosing a plastic surgeon for your “face”, it is critical to choose a specialist in eyelid surgery and facial surgery. You are lucky, to live in an era where advances and innovations in facial plastic surgery and rejuvenation are at its peak. However, choosing the right clinician to deliver that for you is most critical! A combination of formal fellowship training from one of the best institute in the world, the excellent team work and back-up of the prestigious LV Prasad Eye Institute in Hyderabad, and the accumulated experience in this field allows us to promise you the most aesthetic and natural looking results. And when it is about your face, you'd rather rely on someone who does 'only' facial aesthetics! Primary training in Ophthalmology brings in all the concepts of micro-incisions, fine suturing and working under microscopes. This comes as an advantage in cosmetic surgery. Moreover since majority of aging changes occur around the eyes, an ophthalmic plastic surgeon can better address these issues through hidden incisions behind the eyelid. 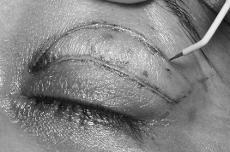 This page will introduce you to common aesthetic concerns on the face, and the treatment options available. Do surf through the pages, and you are most welcome to contact us for more/specific information.